In 2008, the eldest members of the Baby Boom generation turned 62 and became eligible to collect early retirement benefits from Social Security. Shortly thereafter, in 2010, Social Security began running its first cash deficit since 1983, writes Peter Ferrara of the Heartland Institute. 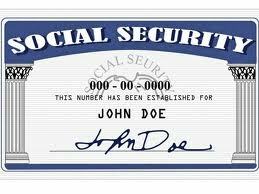 In order to cover that deficit and meet its obligations to current retirees, Social Security has been withdrawing money from the Social Security trust funds. – Under what the government’s actuaries call “intermediate” economic assumptions, the trust funds will be able to cover the deficit until 2033. – After that, paying all promised Social Security benefits will require increasing the payroll tax by 50 percent. – Under what the government’s actuaries call “pessimistic” economic assumptions, the Social Security trust funds will run out of money to pay promised benefits by 2029. – After that, paying all benefits promised to today’s young workers will require doubling the current payroll-tax rate. According to Ferrara, personal savings, investment, and insurance accounts can solve the long-term financing crisis of Social Security without benefit cuts or tax increases. If Congress is serious about ensuring that future generations can benefit from this program, it would do well to implement these reforms. – After the first 15 years with the Ryan-Sununu personal accounts, workers would have accumulated $6.5 trillion in today’s dollars, after adjusting for inflation. – Ryan-Sununu would eliminate the unfunded liabilities of Social Security. – Moving to personal accounts would do a great deal to promote the building of real wealth among the nation’s poorer workers. – Workers would be paying the employee share of the payroll tax into personal accounts that they own and control.